In winter 1979 Oliver Drago was born in the „main metropolis“. The music of the 80s was the ideal hotbed in order to develop passion for electronic music. After having attended to old school HipHop and Metal in the early 90s, electronic music exploded at this time and became omnipresent in Frankfurt, and virtually cast a spell over him. The greatest inspiration came through the „HR3 Clubnight“, featured by Sven Väth, Torsten enslau and DJ Dag, When „Plasticman“ by Richie Hawtin came on the market, his enthusiasm was aroused for sick sounds and since then he only has been focussed on electronic music. Oli acquired a drum computer which he used for his first musical experiments. Later on first tries with various synthesizers on analog basis and one hardware sequencer followed and he produced his first tracks. 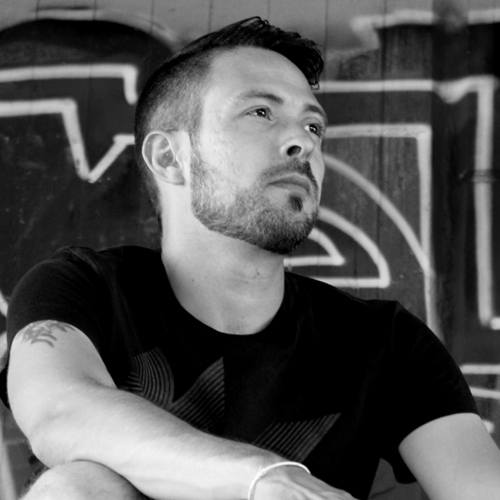 Since 1998 he has been produced House, Garage and progressive techno tracks for him self with pc programs. In 2012 he received the first remix inquiry and Oli decided to become more professional. He produced his first „EP“ and concentrated on straight techno. Musical influences: Joey Beltram, Robert Armani, Jeff Mills, Sven Väth, Cosmic Baby, Alter Ego, Resistance D, Acid junkys, Hardfloor, the Kanzleramt Records, The Prodigy, Steve Bug, Thomas P. Heckmann, Laurent Garnier….